A large chunk of our work involves B2B focused business and brands who rely on us for everything in Digital and Social Strategy – from definition to execution. We believe in delivering true business outcomes – for us B2B means Branding Buzz Business Outcomes. Our primary playground is Digital, Content, Product Marketing and Social Selling. We leverage various channels that guarantee exemplary results for our clients, be it social media platforms, email marketing, webinars, podcasts, website content, inbound marketing, ePR or blogs. The bottom line: Build an exhaustive digital marketing strategy rather than just a Facebook or LinkedIn strategy. Midas Touch is led by Radha Giri (Founder and CEO) and Sanjeev Nambudiri (Co-Founder). Radha is a young and dynamic entrepreneur whose passion is marketing and technology.By creating recognized brands she helps businesses generate revenue; her method is to apply her business acumen to advanced digital and social media marketing techniques. She has led highly creative marketing teams and defined successful go-to-market plans and strategies for multiple innovative, award-winning software products and services. 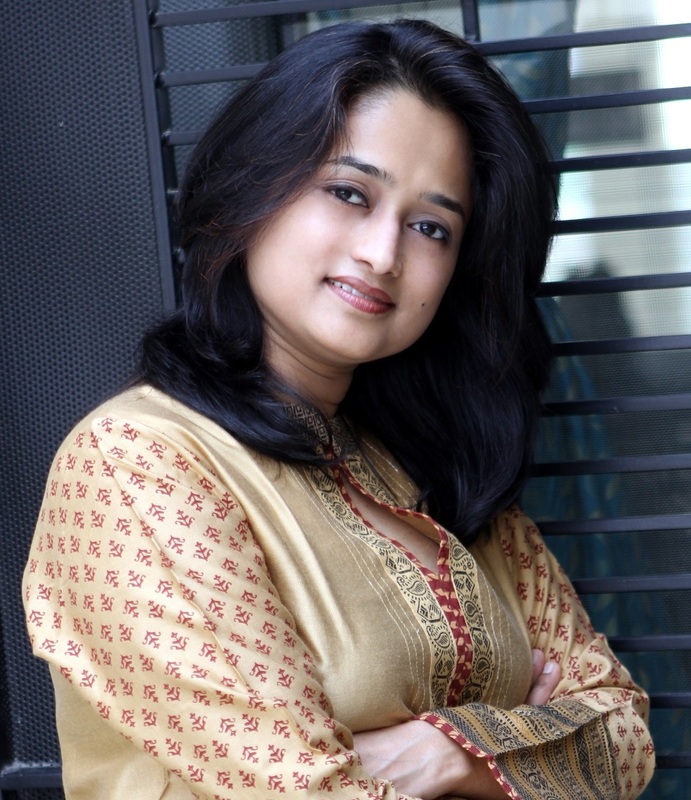 Radha is also the author of the eBook “Are you Socially Shy?”. The book describes how, in a matter of hours, businesses can start with the help of social media. 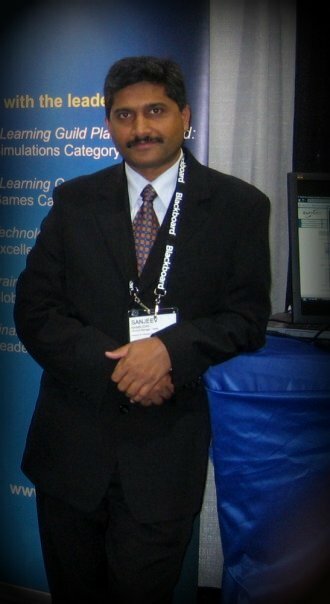 Sanjeev is a 20 year veteran of the sales trenches. He has led high performing sales team and also personally sold hardware and software products, software services and professional services across the length and breadth of India, APAC, Australia and the US, for companies like Microland, CalSoft, Harbinger Knowledge Products and Xoriant. In time he has come to firmly believe 2 things- first, that sales really is a process requiring a carefully thought out and structured step by step approach to make the most of the market opportunity. Second, that differentiation absolutely is key and this should start way before one even starts talking about an opportunity. He is a recent but committed convert to the role that marketing and social media can play in growing sales and differentiation and he sees a bright future for organisations willing to apply these methods! Everyone knows the story of King Midas, who is remembered in Greek mythology for his ability to turn everything he touched into gold. When we were thinking of the name, we wanted the name to specify the benefits our customers are going to get through our services and Midas Touch just fitted the bill. Additionally, gold implies hard cash, guaranteed results – which is what our promise is – true business outcomes through digital marketing and social media marketing. Our skill is in leveraging the gamut of inbound and outbound marketing techniques to draw traffic to web properties, convey an apt sense of expertise and build relationships with the opinion makers that matter. The aim is to first get in the eyeline of people seeking the solutions our clients have to offer and then to convince them of the offering and its value. The website and other web properties get “found” – either by following the directions of others that have blazed a similar path or from your own outreach methods. Here, we offer Email Marketing, Webinars and Podcasts, Influencer Marketing and Pay-Per-Click. 50-60% of the buying decision is made by the time a potential buyer engages with you, the vendor. Prospects are skilled at using the abundance of information available online to inform themselves – a role a salesperson used to play earlier. The prospect now relies on evidence found online to do everything from defining problem areas and likely solutions to the relative merits of vendors. The content that is created is key in ensuring the right message about businesses and their capabilities is found by prospects online. We help in creating content that is insightful, relevant, helpful and most importantly – available to prospects when they seek it. The content includes website content, blogs and thought leadership articles, whitepapers, eBooks and ePRs. Social Media has brought the influencers and decision makers from your prospect organisations within the reach of even the smallest player in the market. Previously unimagined insights are available into their needs, wants and preferences. There is also the opportunity to position yourself in the best possible light on a platform also accessed by your prospects. The key is in presenting yourself in a manner designed to impress them on the channels that they frequent and engaging with them in a structured manner with the objective of establishing trust and building a relationship. We take care of Social Media strategy as well as of Social Media Management. Marketing Products is a fine combination of art and skill. Your product is now global even before it makes a mark in the local market – segmentation, targeting and positioning now have to be done on a much larger scale. Our clients leverage our global experience to draw up go-to-market strategies for their products, build effective marketing material and to grow and manage their community of fans. We offer Product Launch Marketing, Product Community Building and Collateral Preparation. Both the founders come from a very strong business background and this colours their perception that the way Social Media is being addressed today, especially in the B2B space, is set for a radical change and we would like to be at the forefront of driving that change. We are firm in our conviction that social media will have to deliver quantifiable business outcomes and we believe we understand exactly how to achieve that. This places us in a position to claim a pretty unique positioning among social media agencies and also to drive real growth for our customers – this is what motivates us to do what we do. Our initial focus was on more “pure marketing” initiatives – we worked with distinction with clients on their websites, social media and digital marketing initiatives. Over the last 18 months or so though ,it has become more and more clear that our clients expect a much closer integration between their demand generation, sales and marketing efforts and we have evolved to cater to that imperative. Sanjeev’s coming on board as a co-founder over a year ago with his international sales and inside sales experience drove this transformation even more. Our efforts today are increasingly focused on the use of digital marketing, social media and other tools and techniques in a manner designed to deliver business outcomes and in tight alignment with the overall sales strategies of our client organisations. The wide reach and the always-on nature of social media places a responsibility on agencies and clients to be considerate, thoughtful and responsible at all times. We do also recognize that the clients we work with today are not the Cokes and Red Bulls of the world – the size and type of audiences they seek to reach out to are different and to some extent the channels they use are also different. This has defined the way we approach social media on behalf of our clients. We have to respect the essence of social media and strive for meaningful conversations, engagement. It’s better to build a sustained, high-quality presence that reflects who you really are rather than seek fleeting popularity by hitching yourself to the popular or controversial event of the day. We have mentioned this a few times earlier but it bears repeating that the role of social media, especially in the B2B space, is undergoing a sea change. Branding remains a valid objective but the question being asked repeatedly is, how can the organization get some quantifiable business results from these efforts? The tools, tactics and techniques of social media will have to cater to this growing demand going forward. The need of the hour is for an agency that talks to the clients in this language for example, irrespective of the specific channels being suggested talk about how these could plug into the lead generation efforts of the organization. Another key area is how to integrate the various areas included in the sales, inside sales and marketing function to ensure they all pull in the same direction in a tightly integrated fashion. Our short history has thrown up a couple of key learnings that have helped us grow in the way we address our clients now. The most important thing is to set expectations with the client that they will also need to commit a certain portion of their time on an ongoing basis to the digital marketing / social media marketing activities. The fact that they have hired a qualified agency to do this for them does not absolve them of this responsibility. They will still have to set aside a reasonable amount of their own time to track, monitor, update and review the work being done. Working with very early stage start-ups is a roller coaster ride. They almost always have an extraordinarily passionate approach to their products and services that is great for a marketing agency to feed off but at the same time there are so many things on the already overloaded plates of the founders that management bandwidth is always in short supply. This imposes its own constraints and has an inevitable impact on the effectiveness of marketing efforts as well. It may almost be worthwhile to hold off on getting into social media once the start-up has achieved some maturity with this in mind. We have clients in a variety of domains such as mobile apps and games, business intelligence software, entertainment, software services, real estate, industrial packaging and BPO, among others. The geographical focus extends to different cities in India as well as the USA. We view the industry dis-aggregating into the 2 ends of the spectrum. The Post factory: One set of social media agencies focused on the lower end – high volume, “activity” focused agencies that leverage their skill in the use of tools and in regular, timely execution of pre- determined social media strategies. The Consultant: Another set of social media agencies that look to build a consultative approach – helping build social media strategies for the more complex or higher ticket items. Not to put too fine a point on it but – It would be bliss! Yes! Content Creator, Graphic Designer, Social Media Jockey.